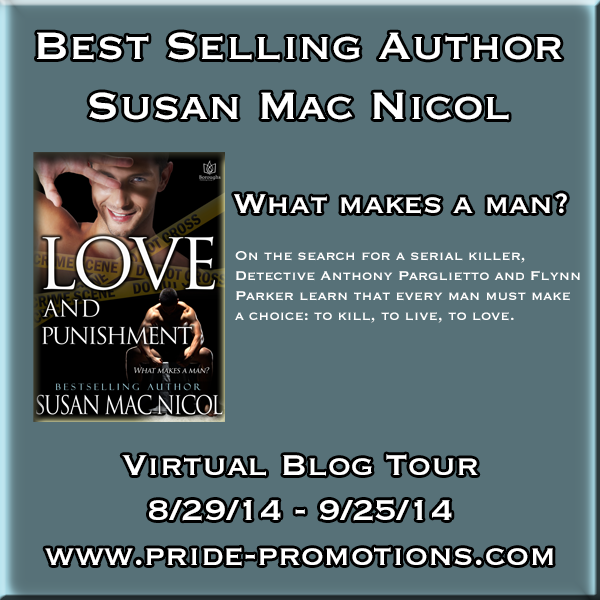 Susan Mac Nicol talks “Love and Punishment”, Excerpt & Giveaway! 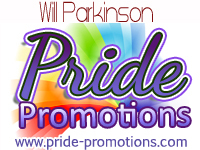 I’m so pleased to be able to host Susan Mac Nicol here today as part of her Love and Punishment blog tour with Pride Promotions! Join us for her post on finding the time to write in a busy life, as well as a trailer and more about her latest release! Be sure to enter the rafflecopter at the end of the post for a chance at one of Susan’s best-selling stories! I know this subject is close to Sarah’s heart too. That elusive work/life balance and how to keep the writing mojo going. The bottom line is that there is no easy answer and what works for one may not work for another. I started writing my first book in Feb 2012 when I was full time employed and working 14 hour days. I had a two hour commute to work each morning, and the same back. The one saving grace was that I was a fairly senior person in the chain of command and had a team of people working for me who were fairly self sufficient. A good team working with you makes all the difference when it comes to spending your time doing things you’d rather do, such as training, attending high brow management meetings, and strategising and planning the future of the company. I also found I had time to actually sit back at lunch times and yes, sometimes during working hours, and concentrate on my writing. I didn’t really feel all that guilty doing this. I worked long hours, did more than what was expected of me, and at one time worked three months until 8 pm in the evening to get a big and very important project finished. Of course I also worked after the day job till one o’clock every morning, worked weekends almost non- stop and totally neglected the family. So I was able to ‘churn’ out books at an alarming rate and wrote six novels in the space of as many months. Then I left this company to take a position closer to home. The only problem was, I wasn’t really busy here. I looked around for more tasks to take on and when none were forthcoming and the company didn’t really seem to have much more for me to do -I wrote. Again, the evenings too were dedicated to this and weekends. I loved this busy, hectic time, passionate about my writing and enjoying every minute. I did start to slow down though, because as I honed the craft of writing, I took more time to think about what I was putting on paper rather than spewing it out like water from a hose. I managed to write close to twelve books in less than an eighteen month period. The disaster struck. I was made redundant and was out of work for almost ten months. And the strangest thing happened. I found I could no longer write at the speed I had, that my motivation was low, my desire to write became a chore not a passion out-flowing of words as it had been before. I had to force myself to sit down and put words on the screen. Not only was this demotivating in itself, my heart broke because I thought I wasn’t the person I used to be. The writer who everyone made jokes about, doing fifteen to twenty thousand words a week. I had plenty of time now- why wasn’t I writing? I know times were hard, there were money troubles and the threat of losing my home so depression had well and truly set in. But still in my eyes that was no excuse. I felt much better then because I could see that as maybe being the case. So to anyone out there who might be facing the same problem -take these words to heart, hold them close and remember things can only get better if you let them. Blurb: On the search for a serial killer, Detective Anthony Parglietto and Flynn Parker learn that every man must make a choice: to kill, to live, to love. Watch the Love and Punishment Book Trailer here! This entry was posted in Uncategorized and tagged announcements, contests, guest blog, life balance, promo, Sarah Madison, upcoming release, writing by Sarah Madison. Bookmark the permalink.